Poetry Europe is the occasional journal of the European Academy of Poetry. Edited by John F Deane, this issue of the journal provides a snapshot of the work of a number of the Academy’s members in translation, as well as a number of contemporary Irish poets, among them Peter Sirr, Enda Wyley, Pat Boran and Gerard Smyth. Essays include Fiona Sampson on the history of Poetry Review. John F. Deane, poet and fiction writer was born on Achill Island in 1943; he founded Poetry Ireland and The Poetry Ireland Review, 1979 and also established The Dedalus Press in 1985; He has published several collections of poetry and volumes of fiction; he has received the O’Shaughnessy Award for Irish Poetry, the Marten Toonder Award for Literature and poetry prizesfrom Italy and Romania. He was elected Secretary-General of the European Academy of Poetry in 1996. He has been shortlisted for both the T.S. Eliot prize and The Irish Times Poetry Now Award, being awarded residencies in Bavaria, Monaco and Paris. In Dogged Loyalty, essays on religious poetry, appeared from Columba in 2006; his latest fiction publication, The Heather Fields and Other Stories, was issued by Blackstaff Press in 2007. He is a member of Aosdána; In 2007 the French Government honoured him by making him Chevalier de l’ordre des arts et des lettres. In 2008 John F. Deane was visiting scholar in the Burns Library of Boston College. 2010 saw the publication of a new novel, Where No Storms Come, and a new collection of essays, The Works of Love. 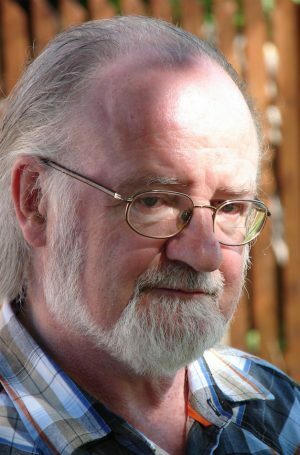 His latest collection of poems, The Eye of the Hare, was published by Carcanet in June of 2011. April 2012, John F. Deane was Distinguished Visiting Professor in Suffolk University, Boston, USA and in October 2012, Snow Falling on Chestnut Hill: New & Selected Poems, was published by Carcanet.